Setting up a recurring monthly donation is easy! ​drop-box below, and hit "Subscribe". Quincy author, Melissa Griswold, PhD, is donating $10 from her book's purchase to Quincy K-9 Connection. Click on the book's image (below) to access the order form. Quincy K-9 Connection is proud to be a Best Friends Network Partner! Click the image below to shop our online Spreadshirt store. Donating items for our mission couldn't be any easier! Simply click the image below then sign into your Amazon account. 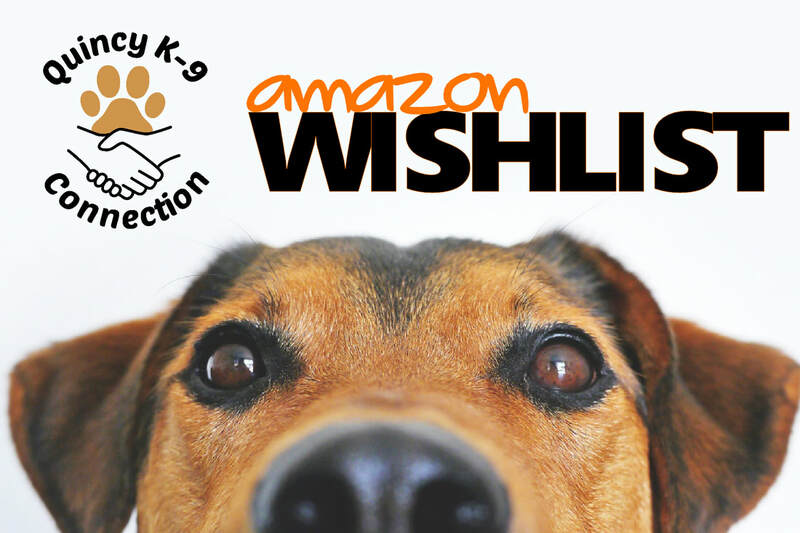 Add an item or items to your cart from our Wish List. Select the Gift Registry Address as the delivery address at checkout. This address is automatically added to your shipping options. Bing Bang Boom!! It's that easy. **Please note: Quincy K-9 Connection does not adopt animals out to the general public. All adoptions must go through a licensed rescue group. If there is an animal in a shelter that you are interested in adopting, you must go to the shelter and adopt in person. All animals must be fully vetted. Contact Anne Heckle (anne.heckle@att.net) for more details.